Distance 24 Feb level 20 Command Center — Someone finished it? I wonder whether someone was able to get the legendary fragments during the challenge by beating the 5 level 41 heavy armored walkers with about 140k health. 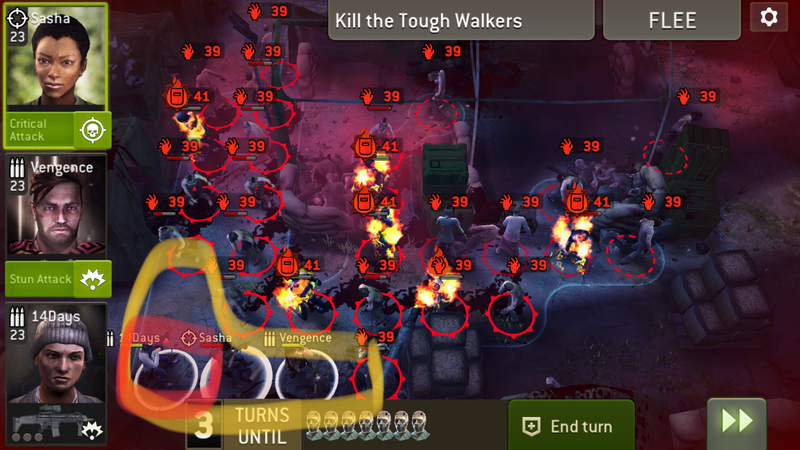 One strategy could be using Sasha and 2 assaults in the corner and permanently stun the walkers while recharging in parallel. Unfortunately, I was unlucky to set up my team in time and the heavies are blocking the upper left corner. Now I lost Sasha and all my good assaults. Didn't beat it today but last time around I did exactly that. Sasha plus two assaults in the top left corner got me through. Don't forget incendiary on your rifle. whats the strategy to defeat the real high level tanks since stun doesn't work on them? @turbo_234 Depends on the map. There aren't many super high Distance maps where you actually need to kill the tanks to finish. 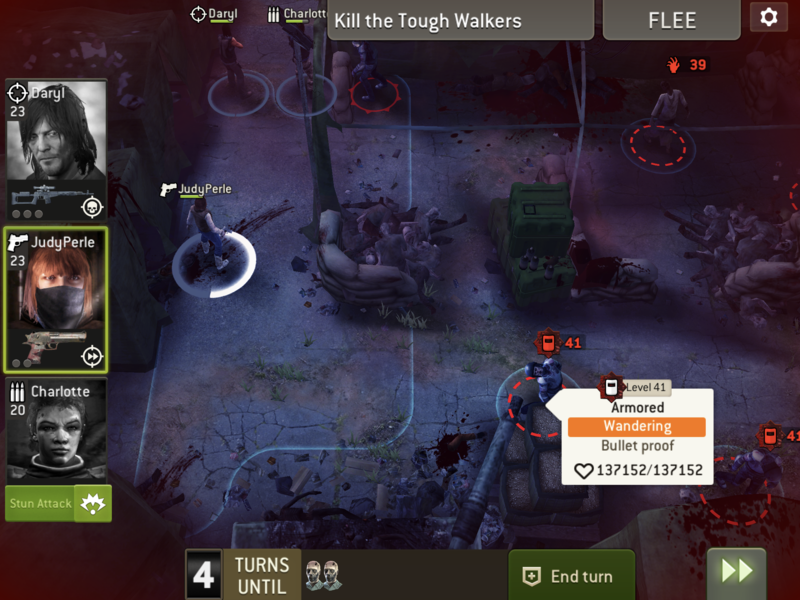 Sometimes I kill all the normal walkers, leave the tanks, and just run to the exit/open the gate. Don't even bother with them because they're too hard to kill. But then there's map #19 from two weeks ago where you have to kill the 3 tanks. Super hard. Need incendiary, charged shooters and scouts, lots of luck, and perfect timing for when to sacrifice your survivors. Sasha and 2 assaults with alternate stuns will take care of this. The yellow are the 4 squares tha you will need to maneuver to get the charged assault to shoot from the red circle. If you are not able to get all 5 armors in range, flee and come back after you kill 4 and do the same thing in the upper left corner. You won’t have to move your assaults around there.